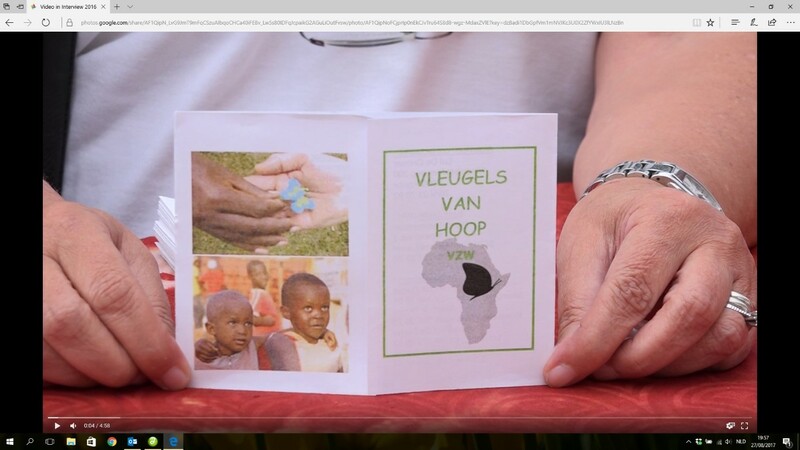 The idea, to give the association the name Vleugels van Hoop = 'Wings of Hope', has grown in the mind of some people who lost their heart in Central Africa, the area of the big lakes. And what more can you offer people who you carry in your heart? And... giving wings is giving a FUTURE. These enthusiastic people already quickly found some loyal cooperators to aim for the same and the flight can start. The association ' Wings of Hope ' was founded in 2007.
wings which take-off on the map of Central Africa, ready to fly direction : FUTURE!